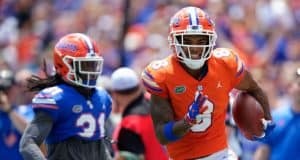 Trevon Grimes showed out in the Orange and Blue Game with a record-setting 195 receiving yards. 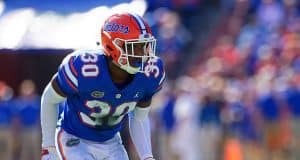 Sophomore defensive back John Huggins played well at his new position in the Florida Gators spring game on Saturday. 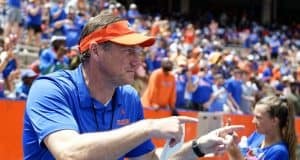 It was solidifying after a rough freshman season. 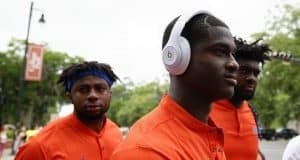 GC brings you a photo gallery from the Florida Gators annual Orange and Blue spring game that took place on Saturday in the Swamp. 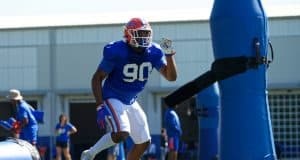 Five standout players from Florida Gators spring game. 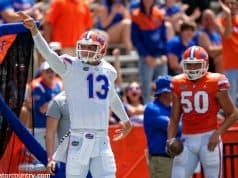 Team Orange defeated Team Blue on Saturday in the Florida Gators annual spring game in the Swamp. 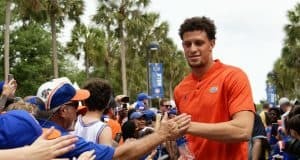 GC brings you a photo gallery from Gator Walk before the annual Orange and Blue spring game that took place on Saturday in the Swamp. 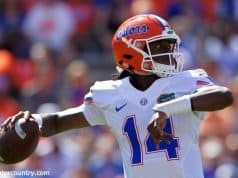 GC brings you a new podcast as we preview the Orange and Blue spring game for the Florida Gators on Saturday in the Swamp. 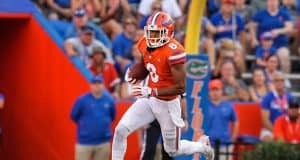 Florida Gators redshirt freshman wide receiver Jacob Copeland has missed most of the spring, but Billy Gonzales is as impressed with him as ever. 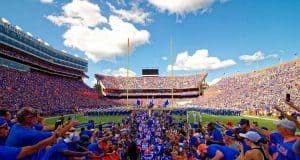 Saturday's exhibition is about having fun and minting new Gators, not so much about serious football things. 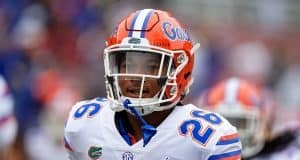 Amari Burney is still learning, but feels comfortable and confident in his move to linebacker. 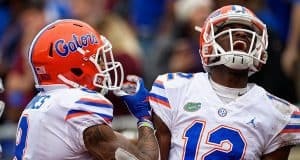 The Florida Gators have a lot of depth at wide receiver, and the competition is making them even better. 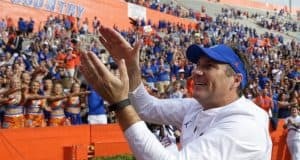 Dan Mullen takes a not so subtle shot at a rival when asked about spring game attendance. 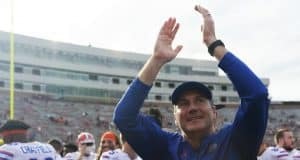 Dan Mullen spoke to the media on Monday about the upcoming spring game. 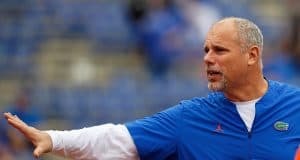 John Hevesy is a tough coach, but Florida's offensive linemen like how hard he pushes them. 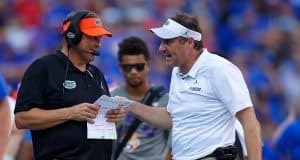 Will the Florida Gators schedule future home-and-home with another Power 5 school? 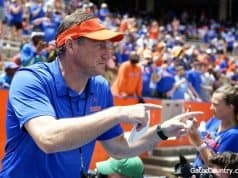 Florida Gators head coach Dan Mullen talked to the media on Thursday to talk about last week's scrimmage and more. 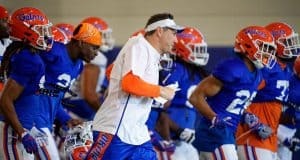 GC brings you a new podcast as we break down spring practices and the Florida Gators scrimmage last week, plus we talk pro day for the Gators. 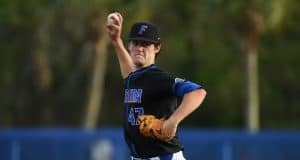 Tommy Mace threw a complete game, three-hit, one run game to lead Florida to a win over Alabama. 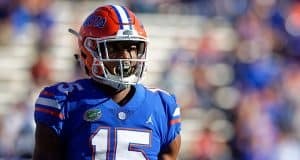 For CeCe Jefferson, making it to the NFL is about more than playing football. 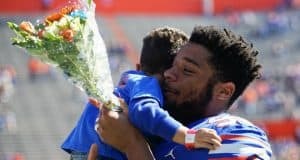 It's about providing for his young family. 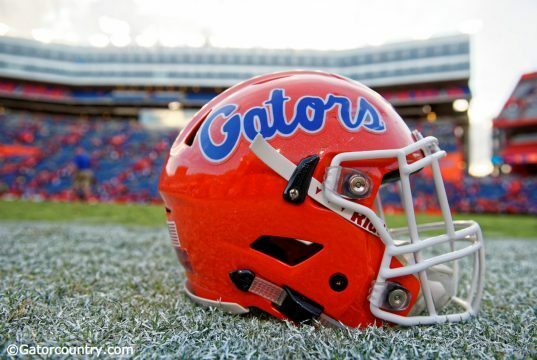 Five standout performances from the Florida Gators first scrimmage.